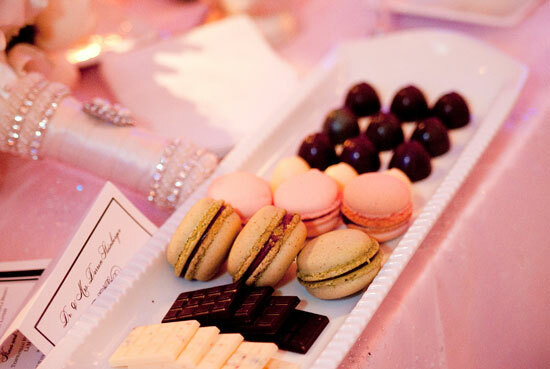 At SLS Hotels, sweet little surprises delight at every turn. 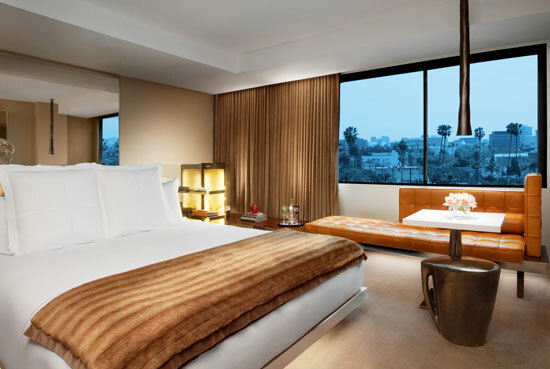 Set at the crossroads of Beverly Hills and Los Angeles, SLS Hotel at Beverly Hills, a Luxury Collection Hotel, is the first property to debut in the new SLS Hotels brand. 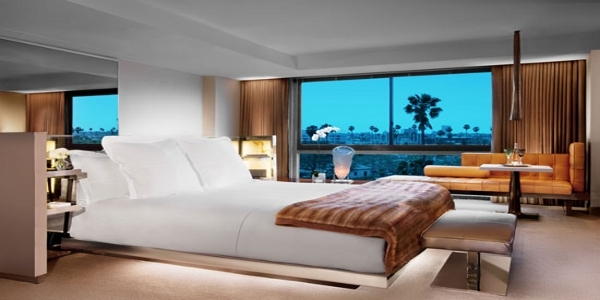 Challenging every traditional convention of luxury hospitality, our SLS Beverly Hills Hotel continues to examine and rethink every possible aspect of the luxury hotel experience to create an entirely new paradigm that is truly in tune with what sophisticated travelers want today. Revel in the palpable buzz of The Bazaar by José Andrés, a magical dining and lounge experience woven into an indoor piazza, or indulge in The Private Guest Lobby, Tres, a sophisticated and secluded sanctuary for added privacy. 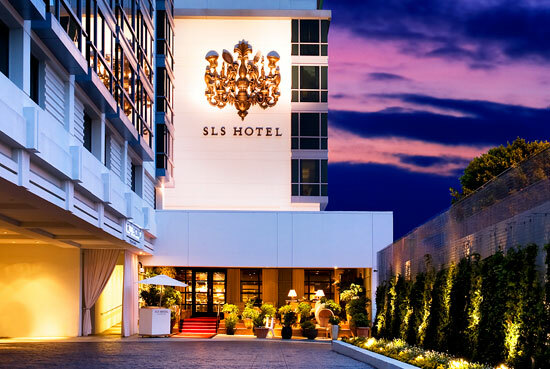 SLS is not an exact acronym for anything in particular but at its core represents the essential components of the SLS guest experience – style, luxury and service. Most importantly, SLS is a name that has quickly become synonymous with timeless elegance, intelligence, humanity, discovery and a completely novel guest experience. 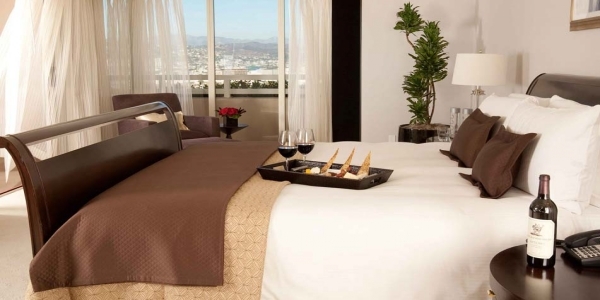 Savor life slowly at our Beverly Hills spa. Ciel Spa is a place of escape where recharging the inner spirit and enhancing physical well-being come from true and spirited innovation. 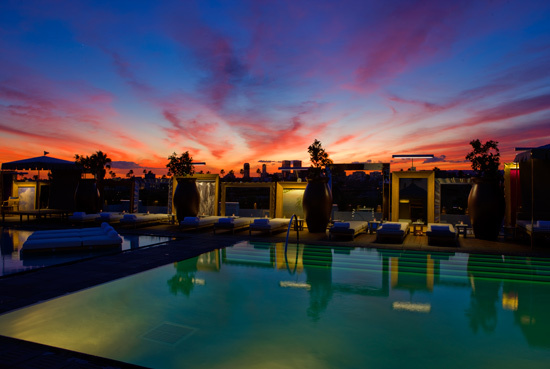 A superlative team of Beverly Hills spa therapists and personal trainers are at the disposal of SLS Hotel guests and Los Angeles residents. Our luxury spa, Ciel, features six spa rooms and 5,000 square feet of space. Ciel Spa treatments begin with custom aromatherapy blends, while custom spa beds are designed with iPod docking stations to resonate music throughout the entire body during the massage. Experience the Philippe Starck designed couples suite featuring side by side soaking tubs, Monday – Friday 10am – 9pm and Saturday – Sunday, 9am – 9pm. The SLS Fitness Center, located adjacent to Ciel Spa, offers 2,500-square-feet of total health and wellness opportunities. Guests of the hotel have exclusive access to the center’s exclusive Technogym® Cardio & Weight Training equipment and a Technogym Kinesis® Wall, as well as cardio machines with personal plasma television/music options. Allow the SLS Fitness Concierge to be your guide, introducing you to the exclusive “Kinesis® Personal” fitness stations to create a truly personalized workout. Free weights, stretching mats, Pilates balls, yoga mats, and headphones are all available for complimentary use. We invite guests to consult with the resident SLS trainer, should any questions arise. The fitness center is open 24 hours, seven days a week. Guests must be at least 18 years of age to enter. No appointment is necessary. 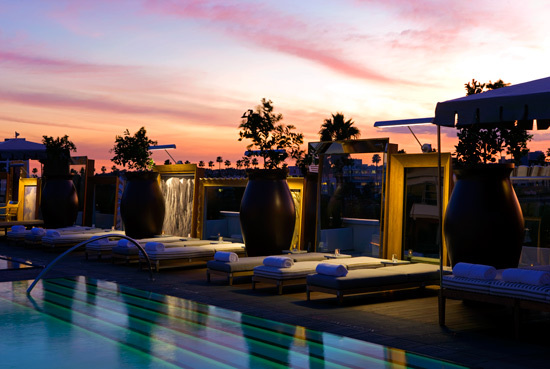 With unrivaled views across Beverly Hills, the jewel-like Altitude Pool deck sits handsomely on the hotel’s sixth floor, offering a seductive environment of glamour and comfort. Two pools, one a plunge pool for dipping and the other a reflecting pool for sunbathing, surrounded by chaises and private cabanas, create a chic outdoor living room where guests can enjoy a full range of creature comforts. 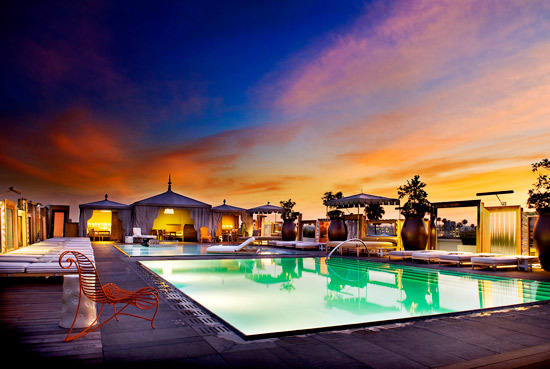 This Beverly Hills pool deck offers the perfect retreat to soak in the California sun. Enjoy the service of a dedicated pool concierge and valet while you indulge in signature cocktails and light fare by José Andrés. Reserve one of seven private cabanas equipped with minibars, TVs and DVD players. Planning a meeting in Los Angeles? 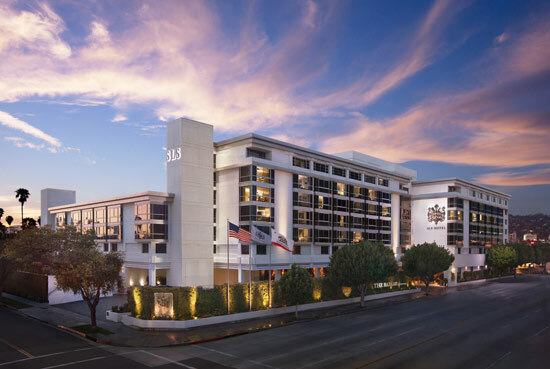 Discover over 30,000 square feet of indoor/outdoor function space, including 12,000-square-feet of dedicated meeting space at the boutique SLS Hotel at Beverly Hills. Elegant meeting rooms and spaces provide stunning backdrop for weddings, press junkets, celebrity interviews, intimate meetings and more. 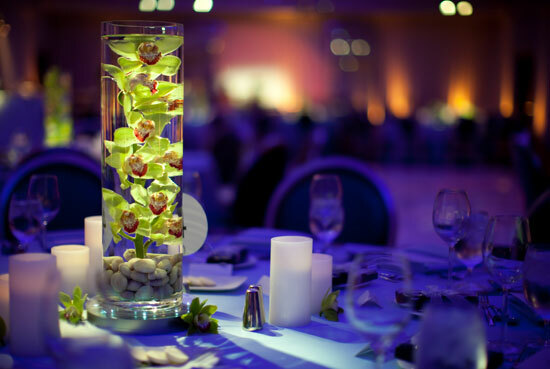 Begin your affair in the elegant pre-function area for 10 to 500 of your guests. High Speed Internet Access is available throughout, as well as multi-functional presentation screens, video conference and web meeting capabilities, and full audiovisual availability. 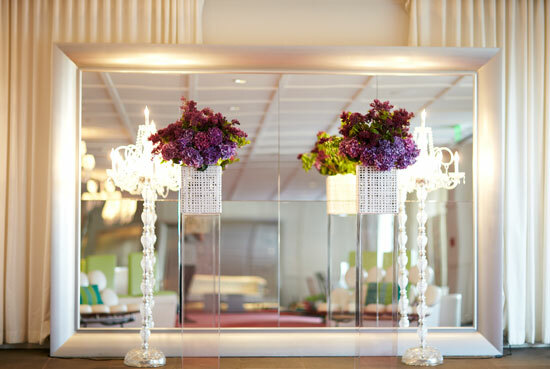 The 4,300-square-foot Albert Ballroom dazzles with oversized chandeliers and adaptable lighting to suit each mood, courtesy of Philippe Starck. 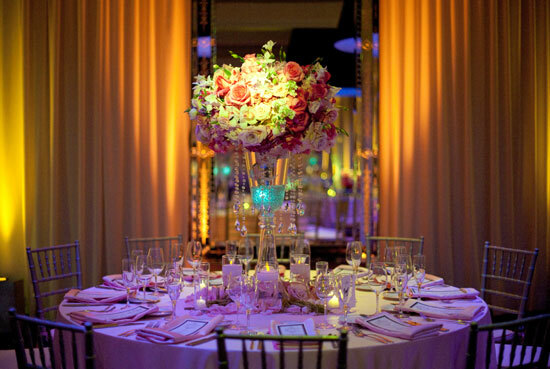 It is the largest of our varied spaces and offers a stunning backdrop for SLS Beverly Hills weddings. 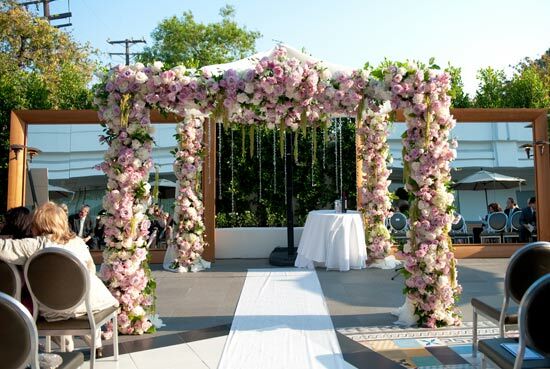 SLS Beverly Hills weddings are beyond compare. 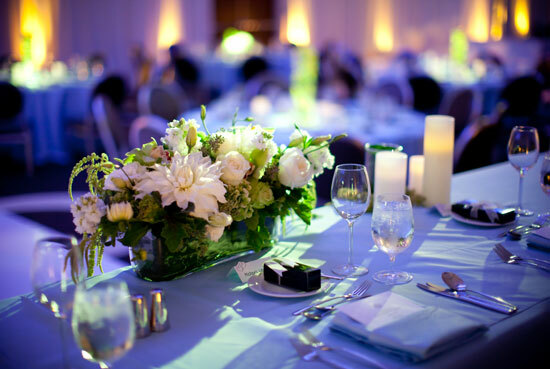 It is here where incomparable experience and hospitality proudly unite with panache and perfectionism. 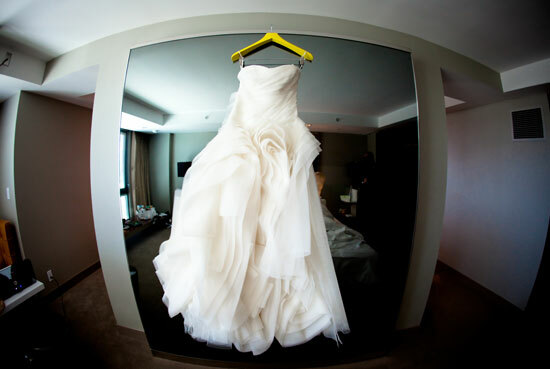 Plan your dream Beverly Hills wedding at SLS hotel and receive unparralleled service and luxury amenities. Our SLS Beverly Hills accommodations bring new meaning to the term luxury. 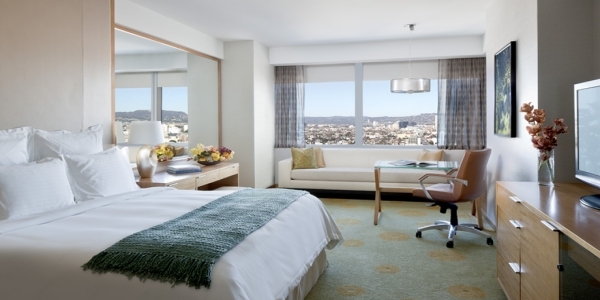 Allergen-free rooms provide a sanctuary from the urban setting outside. Earth tones and soft leather accents create harmonious decor that’s at once ultra-modern and classically elegant. Find serenity after a long day in a spacious bed or entertain guests with a state-of-the-art sound system. 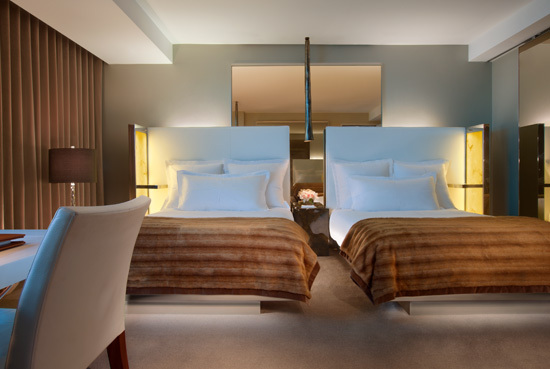 The Superior Double Room offers an unmatched allure, taking full advantage of spotlights with dimmers and the inviting color palette. Two double beds—both framed by Starck-designed white leather headboards—are positioned as the room’s centerpiece, just in front of a floor-to-ceiling mirror and separated by a small nightstand. Peeking through the movable bathroom walls one cannot help but notice the infinity sink, custom freestanding deep, and organic Waterworks bathtub surrounded by ethereal drapery and capped by a rainforest showerhead. Relish in the mod decor of the 402 square foot Superior King room. Dressed in 300-thread count Fili d’Oro linens with faux mink throws, the beds are backed by a sleek desk with white mod curved high-back swivel chairs designed by Fritz Hansen. A long, butterscotch colored banquette with a table for two frames one side of the room, while a floor to ceiling mirror positioned just beyond the bed playfully hides a 40” Sony plasma television with DVD/CD player visible only when on. The sophisticated palette of muted earth tones works harmoniously with the leather, wood and mirrored appointments in the 402 square foot Premier Double Room. The beautifully designed white armoire in the entryway with a drop down cubby bar provides guests with an opportunity to unwind and observe the subdued elegance of their surroundings. A butterscotch colored banquette runs the length of the windows for added comfort. Sophisticated and sleek, a contemporary palette of muted earth tones works in symphony with the leather, wood, and mirrored appointments in both the 402-square-foot Premier King Room. Phillip Starck for Cassina furniture includes a white armoire in the entryway with drop down cubby bar and a butterscotch colored banquette that runs the length of the windows. The Sealy Luxury Posturepedic Pillow top bed is temptingly swathed in 300-thread countFili d’Oro linens with a faux mink throw for an added dose of luxury. Smart elegance distinguishes the 402-square-foot Terrace King Room, where soft, ambient lighting and rich, soothing tones create a sleek and seductive retreat. Fili d’Oro linens rest atop plush pillow top mattresses, which can be customized according to guests’ preferences using the Pillow Particulars menu provided in each room. 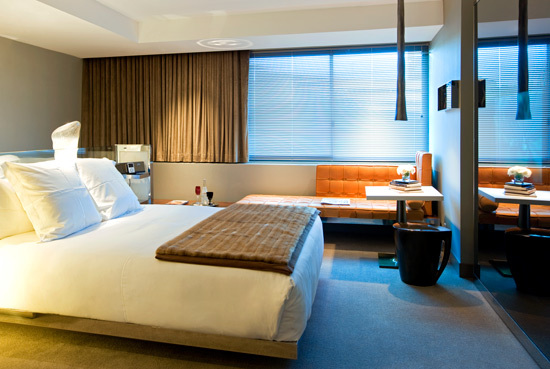 Each of the 402-square-foot Pure Rooms are allergen-free sanctuaries, ensuring a good night sleep in a clean and inviting environment. The bed, adorned with a hypo-allergenic 300-thread count Fili d’Oro linens, a pillow-top mattress and mattress encasement, and organic cotton pillows are the centerpiece of the room and is backed by a Corian desk accompanied by a white mod Fritz Hansen curved high back swivel chair. Softly lit ambient lighting casts a golden glow on the rich, soothing earth tones in the 500-square-foot Studio Suite King, where an array of sleek amenities grace the clean lines of this spacious chamber. A large work desk backs each bed, and is equipped with High Speed Internet Access and an MP3 laptop connection. A 40” wide LCD TV with DVD/CD player is hidden behind sheets of smoked glass, appearing when needed. An inviting palette of earthy colors greets guest upon stepping foot in the entryway of the more than 500-square-foot Lifestyle Suite, where sleek designer furniture looks at home next to the state-of-the-art Technogym equipment. Guests of the Lifestyle Suite will find that the Technogym Kinesis Personal Training equipment offers a wealth of exercise options. 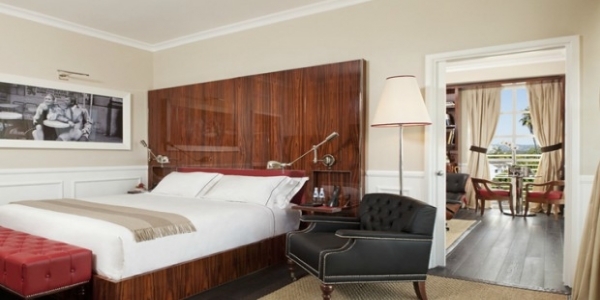 With over 700-square-feet of expertly appointed space, this smart and elegant suite is an exercise in perfection. An airy foyer, a fully stocked mini bar and custom art installations welcomes guests into a sleek and seductive environment, where soft ambient lighting highlights a soothing palette of warm earth tones. 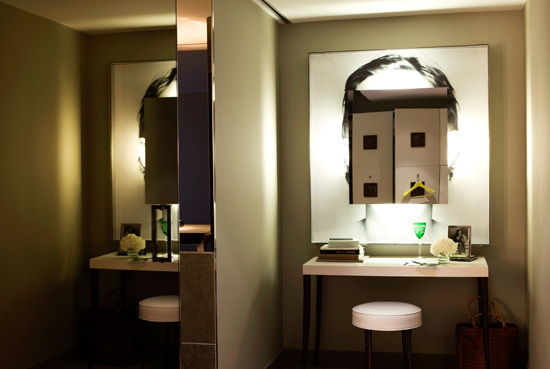 Each Signature Suite includes a sitting, dining, and dressing area—all with custom-crafted appointments designed by Philippe Starck and Cassina Contract. 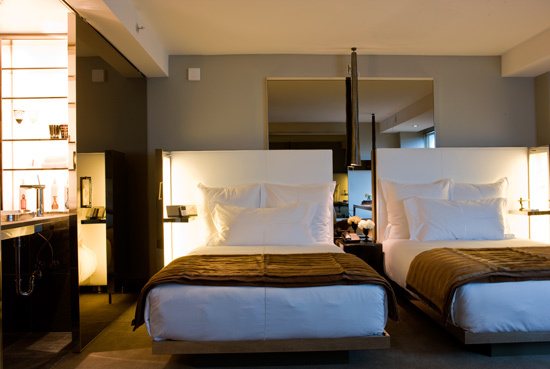 Sleek and distinguished, the Philippe Starck-designed 1,150-square-foot SLS suites are presented with an open and airy layout, which includes a partially separated bedroom and full dressing area. A spacious foyer with custom Stark-designed art installations welcomes you into the seductive environment, where soft, ambient lighting highlights the suite’s rich, soothing palette. All SLS suites offer a dining table for six with a white Corian top. One end of the table serves as a desk, and includes a 17″ iMac desktop computer. An immaculate living room, grand dining area, powder room, master bedroom, and bathroom are a symphony of taste and style in the 1,900-square-foot Presidential Suite. A separate bedroom, bathroom, walk-in closet and full dressing area ensure total and complete privacy. Intimate soirees of up to 10 guests will flourish in the graceful dining area, while a full wet bar, pantry, and kitchen ensures no one is without a refreshing cocktail or delectable bite. 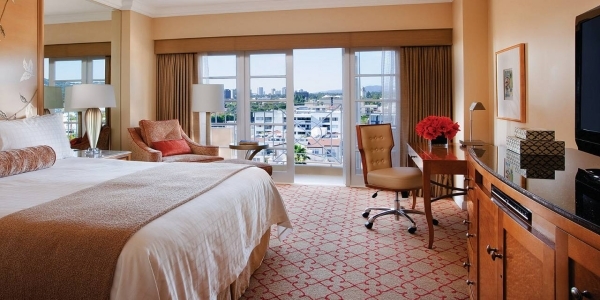 The Presidential Suite is easily connected to two additional rooms, creating a three-bedroom suite upon request. Please contact the hotel for additional information. The Bazaar: A modern-day, “indoor piazza,” The Bazaar is a place where magical dining experiences are grounded in Philippe Starck’s modern décor. Savor Chef José Andrés pioneering culinary creations, sample delicacies from roving carts, or indulge in The Bazaar’s signature libations. Tres: Savor a modern twist on comfort food at this three-meal restaurant. Philippe Starck designed this lounge to look like home, complete with nooks, bookshelves, and fireplaces, but the inspired dishes that come out of the kitchen aren’t your mother’s meals! 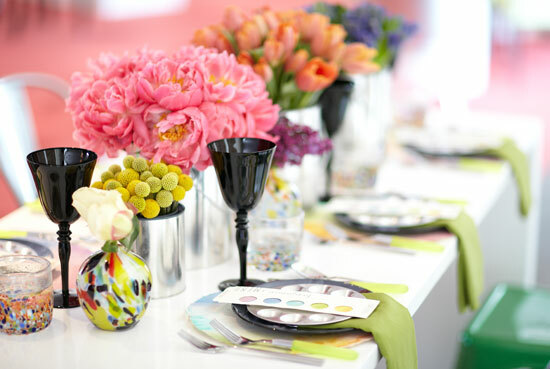 Experience a collection of magical dining experiences, entwined in a modern-day, European-inspired “indoor piazza” – savor pioneering culinary creations, delicacies from roving carts and delicious libations by James Beard Award-Winning Chef José Andrés. Enjoy delightful visual surprises at every turn, courtesy of world-renowned designer Philippe Starck. And shop the inspired retail selections curated by design vanguard Moss, woven throughout the space. Tres by José Andrés, a three meal restaurant ensconced in the SLS Hotel lobby, is a sophisticated and secluded sanctuary peppered with cozy nooks, books and fireplaces, blending the soul of home with the luxury of exceptional dining and service. The Philippe Starck-designed LA lounge features sleek leather loveseats, communal seating on marble counters, wireless connectivity and two private dining rooms. Chef José Andrés serves up a menu of comfort food with a twist, including everything from an extraordinary European breakfast to inspired evening cocktails. Culinary highlights at Trés include daily afternoon tea and Weekend Brunch infused with Chef Andrés’ unique perspective. Brunch features tabletop displays of caviar, cheese and cured meats, specialty smoked salmon and inventive egg dishes, accompanied by crafty cocktails ranging from Cava mimosas to a Brazilian Screwdriver made with freshly pressed tangerines. Afternoon tea, served seven days a week, showcases traditional sweets and savories paired with a premium selection of distinctive teas and coffees. 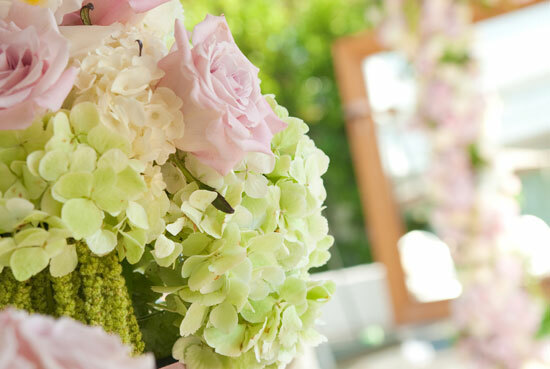 Enjoy dineLA this summer from July 16th – July 27th for a special tasting menu offered at Lunch and Dinner.